Josh suffered a seizure which left him with brain damage. 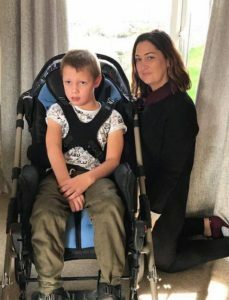 Much like Harry the bed Joshua was sleeping in was no longer suitable and we had to raise £10,000 to buy him a new one which suited his needs. Once Josh’s family raise the first £5000 the foundation granted the family the remaining funds needed and Joshua’s bed was ordered. After this we also helped Joshua’s family fundraise for a sensory room for Josh, which we are now just waiting on this to be fitted.